IDEAL Group is pleased to announce the launch of a new product, the Push-Tail™. 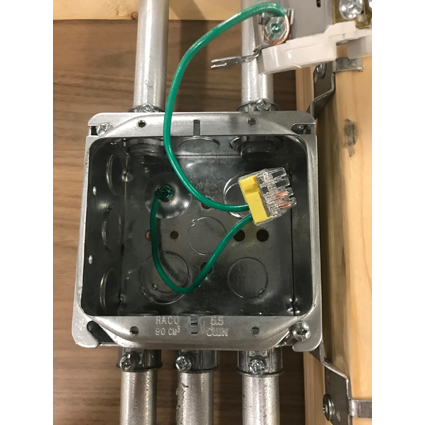 The Push- Tail™ is a 12 AWG solid, 8 inch pigtail with a ground screw and pre-installed 4-port In-Sure® Push-In Connector. This is a great addition to a pre-fab shops grounding line-up, as it is a time saving solution, and improves shop efficiencies.